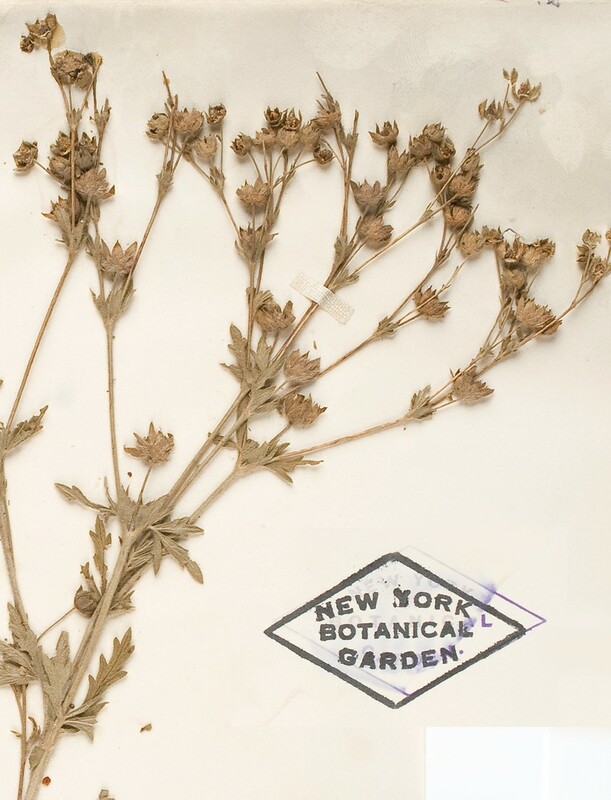 Ashy cinquefoil is introduced in New England, where it has been collected only in Connecticut. 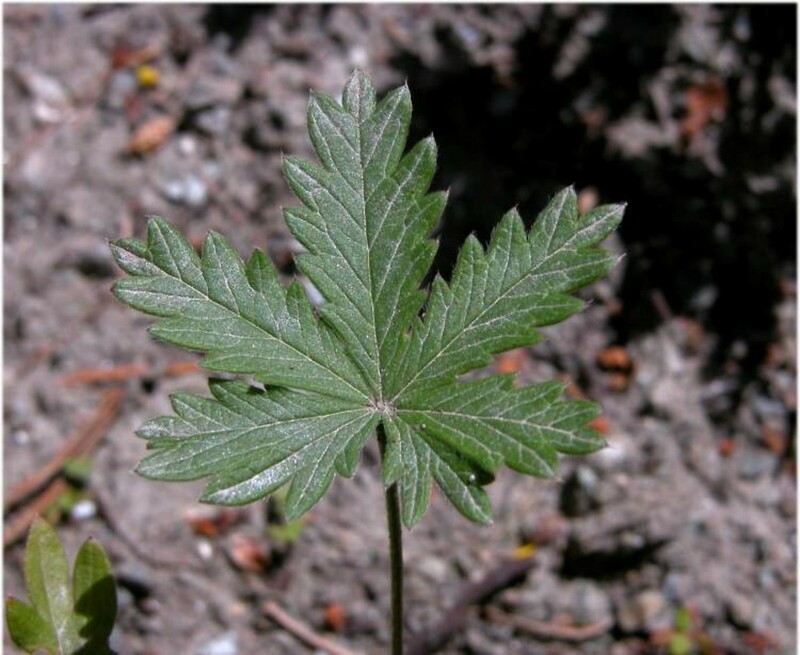 It is often confused with downy cinquefoil (Potentilla intermedia), but the undersides of its leaves are gray-green (not pale green) and the sepals are narrow and sharp-pointed (as opposed to oblong). 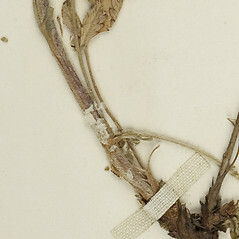 The species name, "inclinata" may refer to the stragging growth form of this plants long stems. 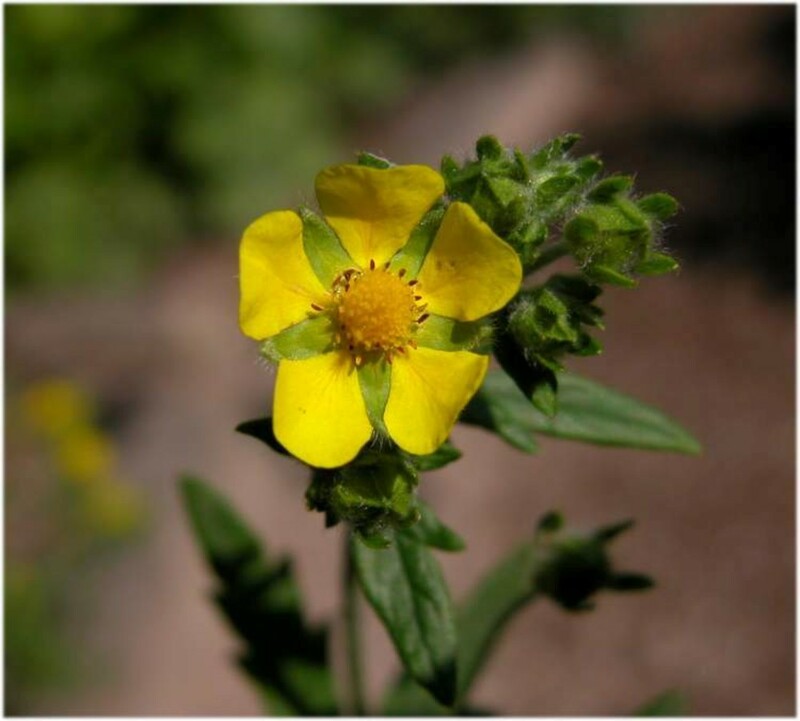 The genus name, "Potentilla," means "powerful" and refers to the strong medicinal qualities of the root compounds produced by some species. leaflets pale green abaxially, petals mostly 4–5 mm long, and segments of epicalyx oblong-ovate to oblong, obtuse to acute at the apex (vs. P. inclinata, with leaflets usually gray-green abaxially, petals 5–7 mm long, and segments of epicalyx narrow-lanceolate to lanceolate, acute at the apex). 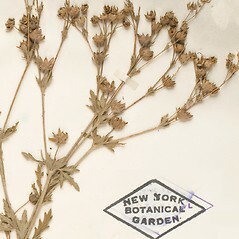 Potentilla intermedia L. var. canescens (Bess.) Rupr. 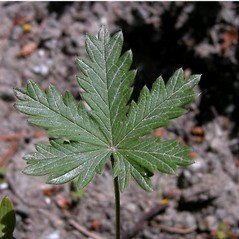 ashy cinquefoil. 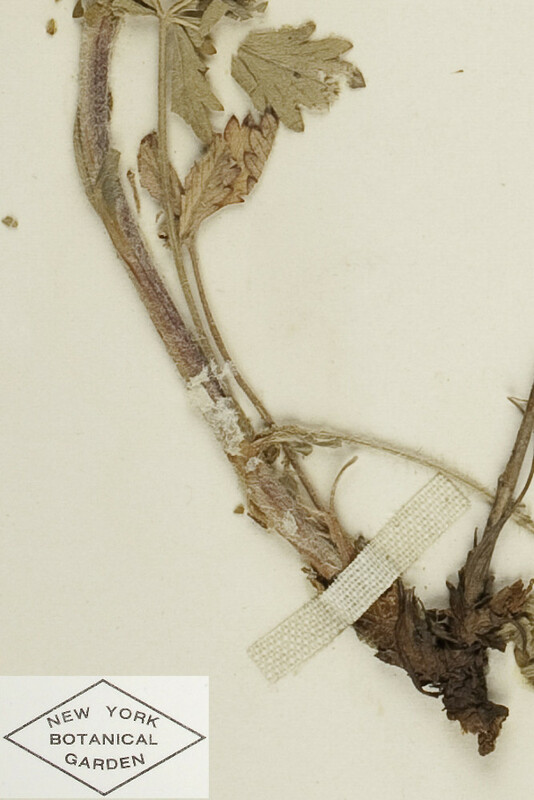 Potentilla canescens Bess. ; P. intermedia L. var. canescens (Bess.) Rupr. • CT. Fields, roadsides, waste areas. 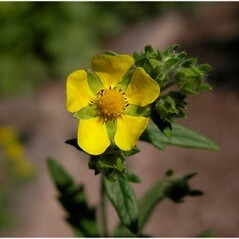 This species has been confused with Potentilla intermedia. 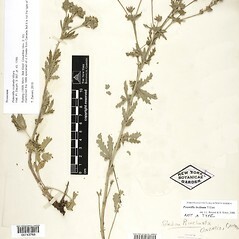 The distributions given here for these two species represent only those collections that have been confirmed (i.e., most literature reports cannot be accepted because of taxonomic confusion); therefore, it should be regarded as tentative. 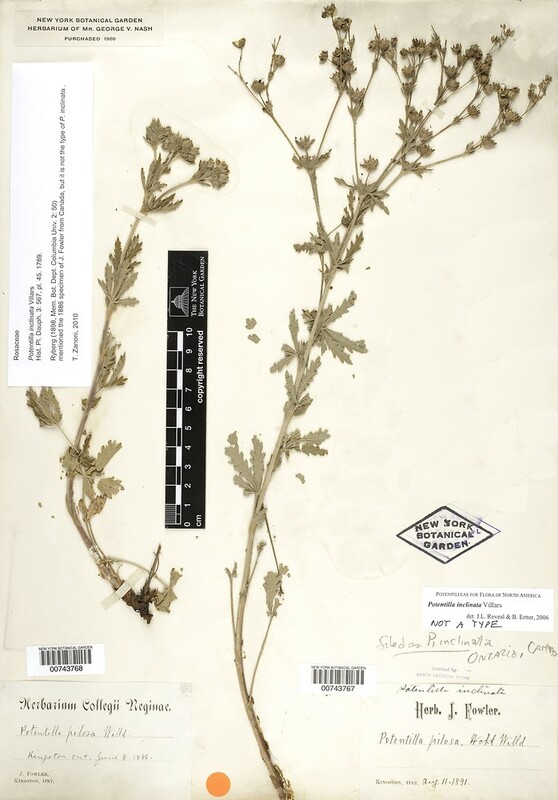 Considered to be a hybrid-derived species with Potentilla argentea and P. recta as parents.